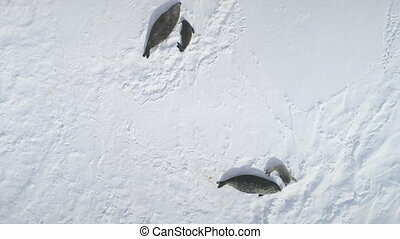 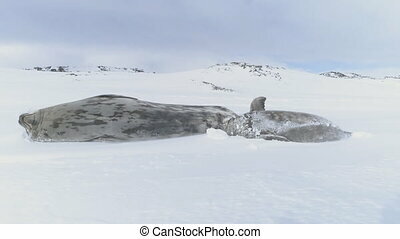 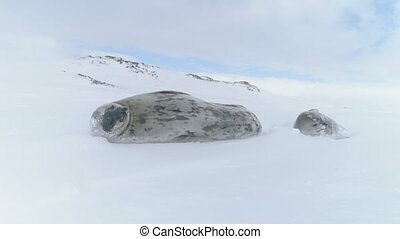 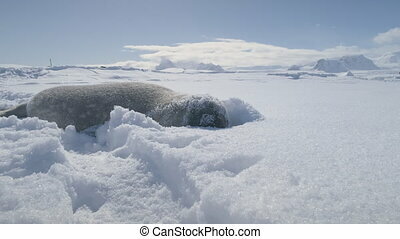 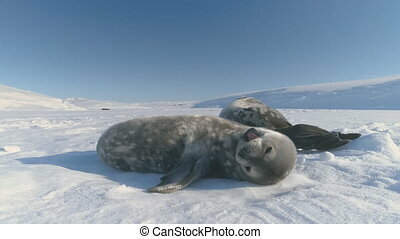 Antarctica Weddell Seal Top Down Aerial View. 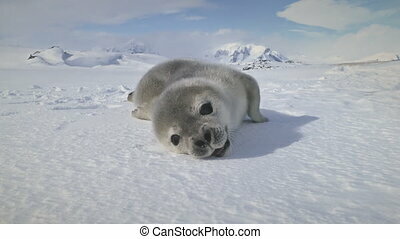 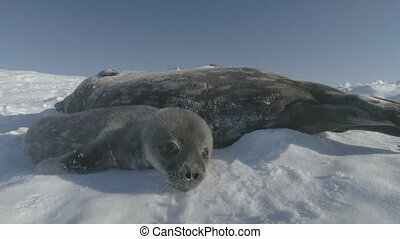 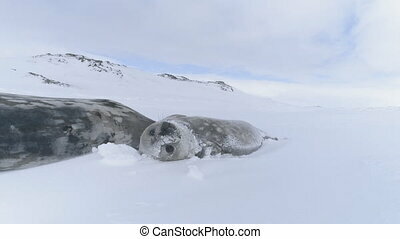 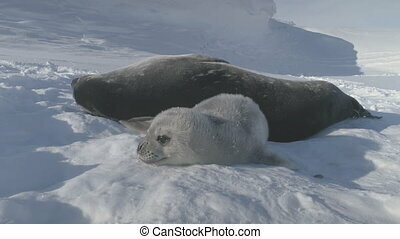 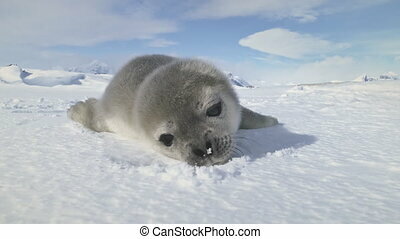 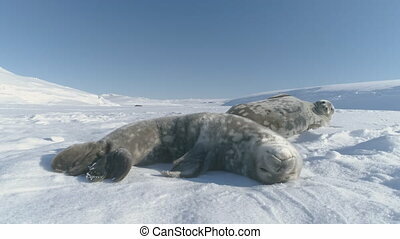 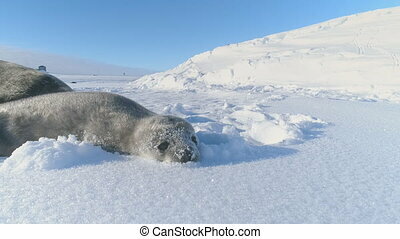 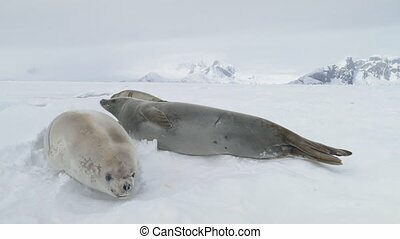 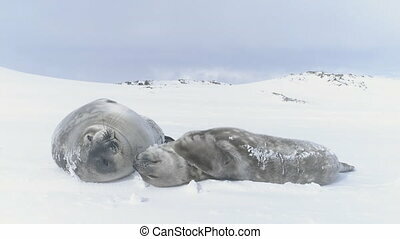 Baby Polar Animal and Parent Rest on Snow Covered Surface Landscape. 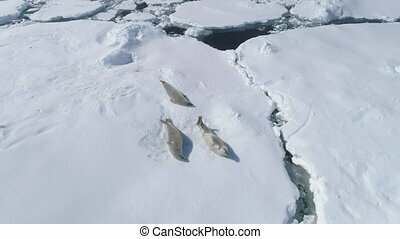 Arctic Wildlife Behavior Drone Flight Footage Shot in 4K (UHD).